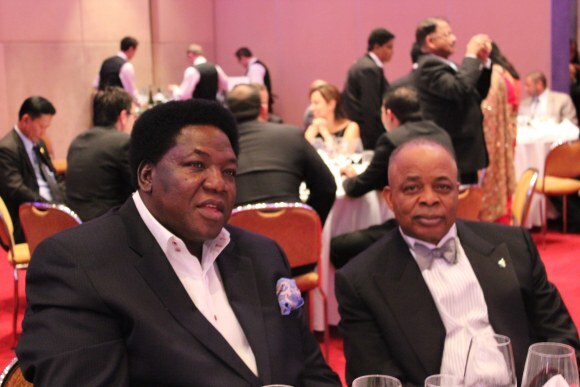 The Nigerian Cultural Minister, Edem Duke, on the left, next to Senator Ken Nnamani. The Minister of Tourism, Culture and National Orientation of Nigeria, Chief Edem Duke, was one of the most admired attendees at yesterday’s International Arch of Europe Award Ceremony. Held by Business Initiative Directions, the event was celebrated in the conference hall of the InterContinental Hotel in Frankfurt, Germany.